I like artwork in many different forms- large paper posters, candid photos, formal portraits, custom artwork and number prints in rustic or abstract mediums. In my informal home, there is room for all of these things and more. I also like to re-arrange some of my art pieces every year to change up colour schemes or to rotate images from rooms I don't spend much time in. Custom artwork doesn't have to bust your wallet, and you can get it done the way YOU like. My favourite artwork has been inspired by places we have travelled or simple moments spent together as a family. We don't vacation often, but when we do, our camera gets a work out. Trying to capture the memories we create in our time together, is always in the back of my mind. There was at least one image that was captured on vacation two years ago, and I was looking for a perfect way to display it other than a computer screen saver. Posterjack invited me order a product in exchange for a review post, and this is the image I kept coming back to in my favourites folder. This is the original image I uploaded to Posterjack. After a few different uploads and playing around with different product and photo choices, I settled on a 12x16 Wood Print with my own image. It was $49.99 plus shipping. Posterjack custom editing tools are VERY user friendly. You can upload your own image or choose an image from their Art Shop for a reasonable price. The hardest part of the whole order process was deciding which image to use out of the 1000+ on my computer. I think the next product I order will have to be a collage. Posterjack let me know via email, when my order was being processed, and sent another message when my order was being shipped. 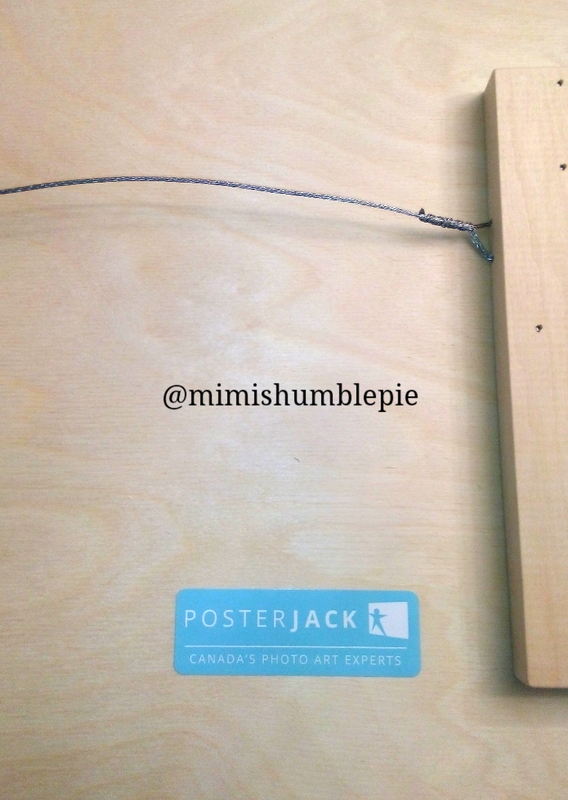 My custom Wood Print arrived at my door, well packaged and ready to hang. Once again I was impressed by the quality in materials used to create my photo artwork and the attention to detail in mount accessories. a heavy material like wood. "Cold Fall weather means more nights at home. Posterjack has come up with 3 photo-art decor tips to create a cozy space that’s perfect for cuddling on the couch during netflix-binge sessions. Play with texture and colour - rich textures and saturated hues of deep colours help create a warm and luxurious space. Canvas Prints hold the colours of the season - eggplant, olive, navy and ruby, like a classic oil painting you’d find in a museum. Mixed materials - just like fashion, the layering and incorporation of different materials is used to add interest. A photo-art display that includes Metal Prints, Acrylic Prints and Photoboards means you’ll never have a boring home. Rustic mantels - shelves and mantels are one of the easiest ways to change up your decor for the season. Embrace nature and add a rustic elegance to yours with Wood Prints, Barnwood Frames and Woodstand Prints of your favourite Fall scenes." Enter promo code FRAME20 for 20% off framed prints until midnight November 9th! 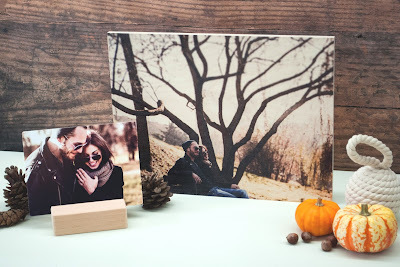 Final thoughts: Choosing the Wood Print product option may change your final image a little because the lovely wood grain shows through the photo. I wish I had not chosen to add a black border and also wish I had used a more vibrant image to counter the matte quality of the final product, but that comes from an error in my own choice of image and is not a judgement on Posterjack craftsmanship or quality. Disclosure: I received a Posterjack voucher to order a free product to aid my review. All opinions remain honest and my own.